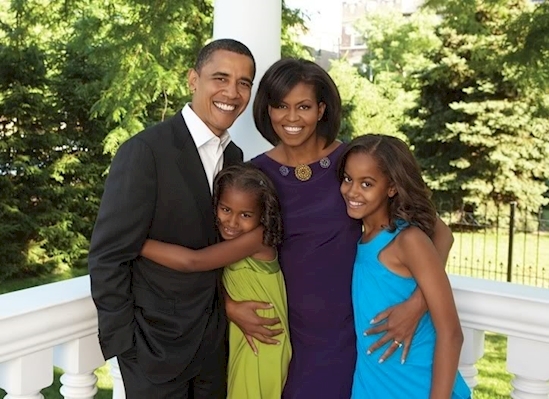 With Barack Obama finishing up his term as President of the United States, we decided to take a look back at the Obama family. 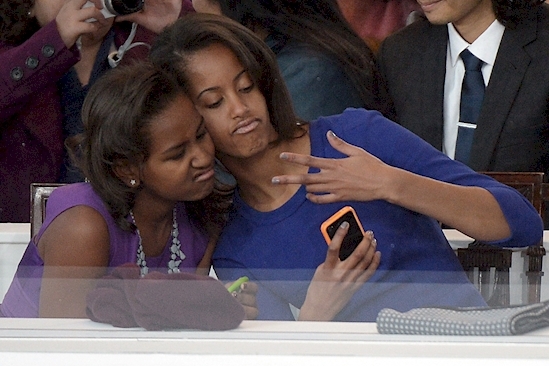 More specifically, the First Daughters: Malia and Sasha. These girls have managed to stay out of the public eye for seven years now. They've grown into intelligent young women that any President would be proud to have as daughters. Here are 11 facts that will tell you everything you need to know about these girls! SHARE if you love these ladies! 1. 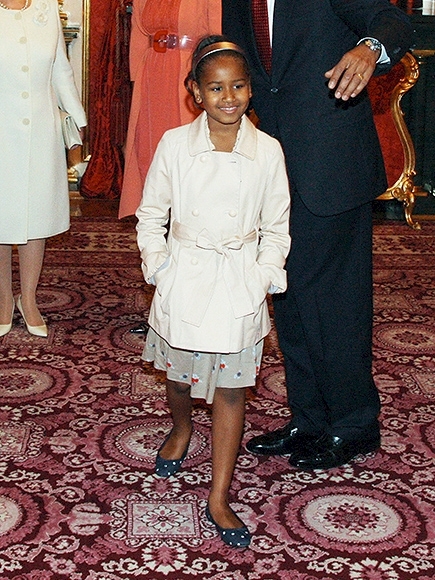 Malia and Sasha Obama were 11 and 8 years old when their father became the 44th President of the United States. 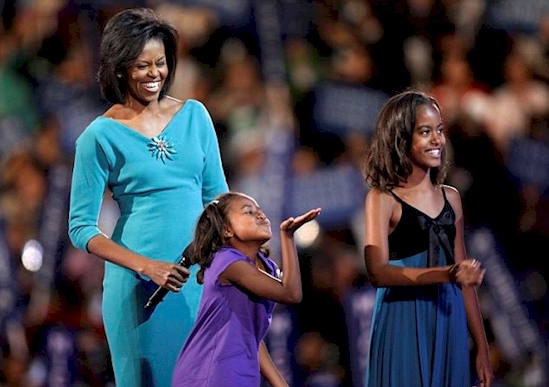 Before the election, the family lived in Chicago and the girls attended a private school in Chicago. 2. The girls now attend the same private school in Washington that Chelsea Clinton, Tricia Nixon Cox and Archibald Roosevelt attended. Vice President Joe Biden's grandchildren attend the same school. 3. Sasha is the youngest child to live in the White House since John F. Kennedy, Jr. lived there as an infant in 1961. 4. 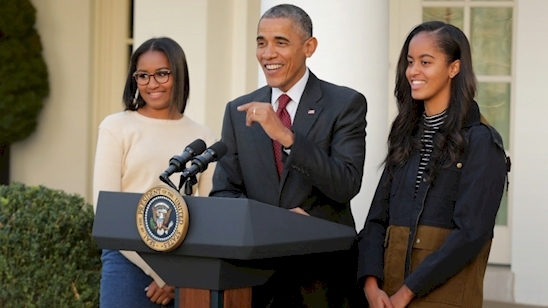 Malia and Sasha were named "The 25 Most Influential Teens of 2014" by Time Magazine. 5. The girls were given code names by the secret service. 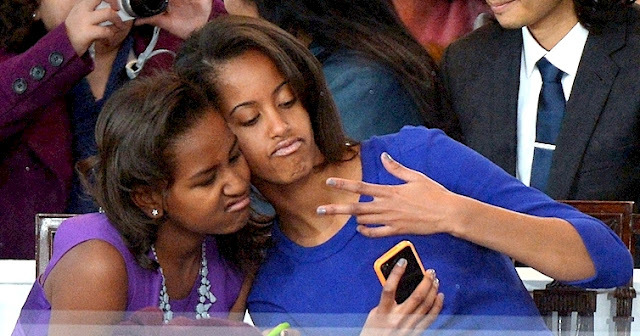 Malia's is Radiance, Sasha's is Rosebud. 6. 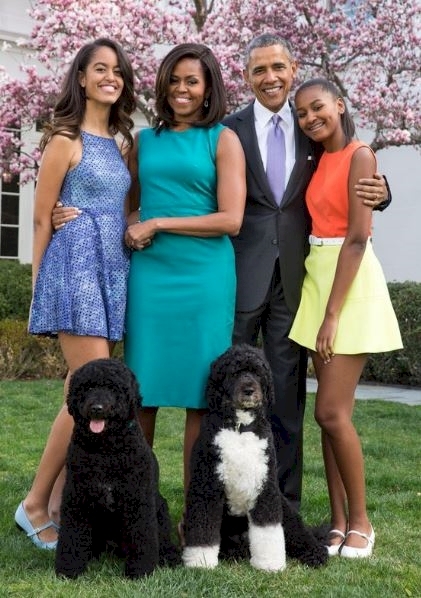 Malia and Sasha were promised a puppy when President Obama won the election in 2009. 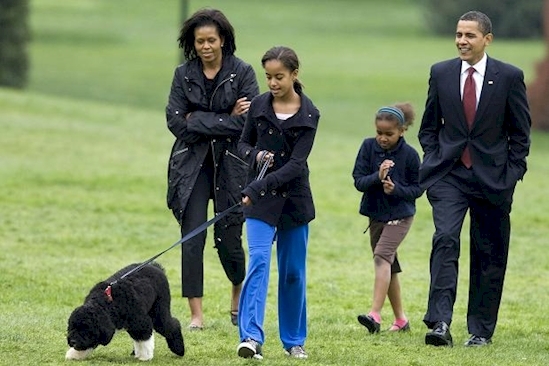 Malia is allergic to animal dander, so the family was given a Portuguese Water Dog that the girls named Bo. 7. Though the Obama family will be leaving the White House in 2017, Sasha is the reason they will still be staying in Washington. They're waiting for her to finish up high school where she's currently a cheerleader, basketball and tennis player. 8. 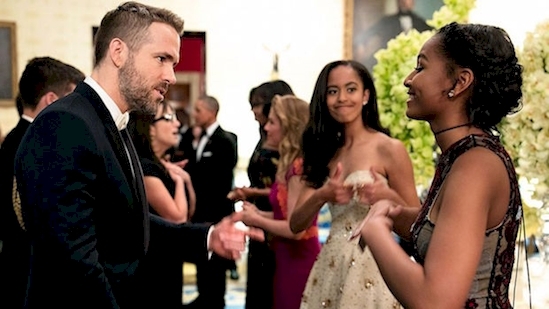 Malia says she wants to be a filmmaker. She spent a summer in New York City interning on the set of HBO’s Girls. 9. 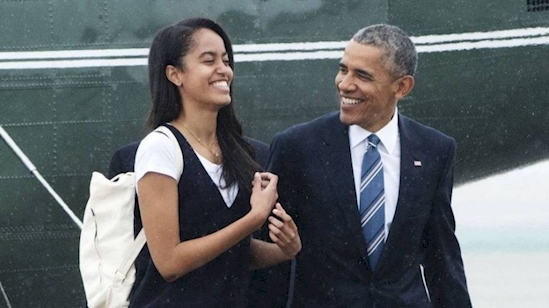 Malia will be attending Harvard, but not until 2017. She's taking a gap year first – maybe to travel a bit? 11. The girls aren't dating yet. When asked, Barack replied, "No, but I've seen some folks glancing at [Malia] in ways that made me not happy." 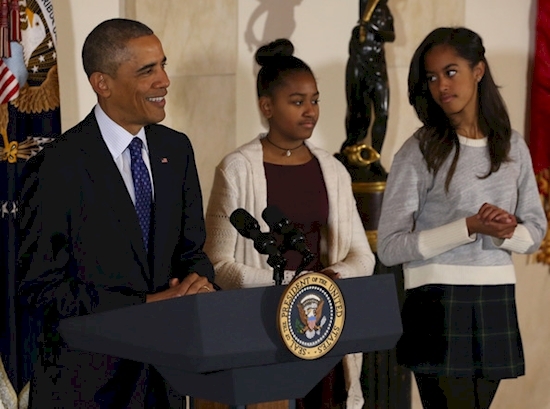 Malia and Sasha have definitely grown up since they became the First Daughters back in 2009. COMMENT and tell us what you love about the Obamas!